San Francisco, aka “The City by the Bay”, is small — about 49 square miles — but it packs an abundance of goodness into its limited space. 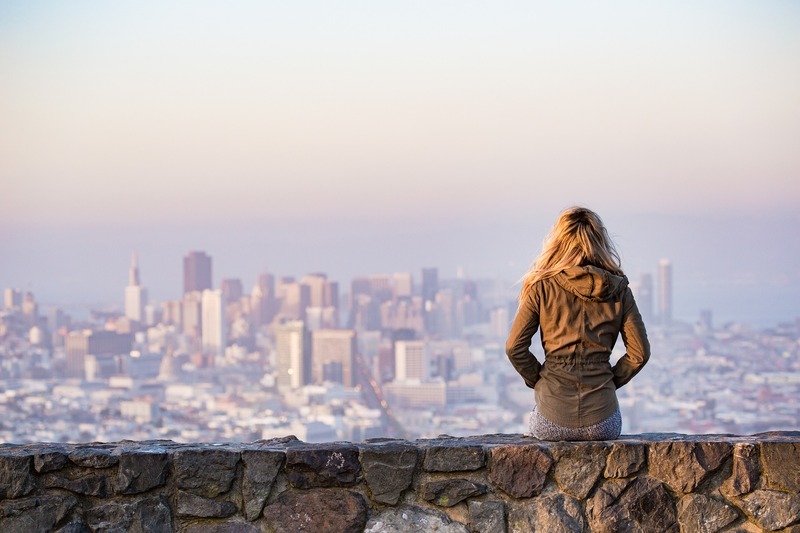 Like most popular destinations, there are lots of tourist traps hotspots like Fisherman’s Wharf, the very windy Lombard Street, and Alcatraz, but generally speaking, these aren’t places where locals hang, and don’t really offer much in the way of an authentic experience. 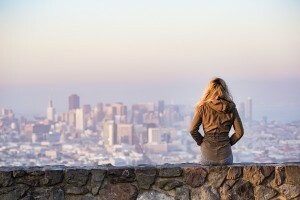 So what’s a traveller to do during a visit to The City? (All locals will refer to San Francisco as “The City”, and anybody referring to it as “San Fran” will immediately give themselves away as an outsider.) Well for starters you can appreciate its gorgeous architecture, channel your inner-child, or soak up some sun. There are many, many hills (more than 50!) 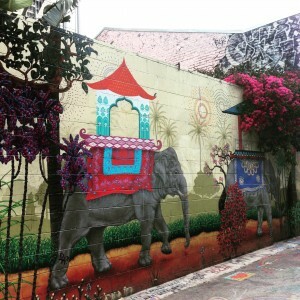 to be conquered, incredible street art to check out, and shows to catch at historic music venues like the Fillmore. No matter what you do, you’re sure to fall in love with San Francisco’s own special brand of weird (but wonderful). 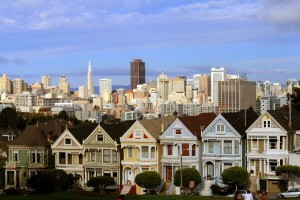 San Francisco’s Victorian homes are one of the city’s most well-known trademarks. 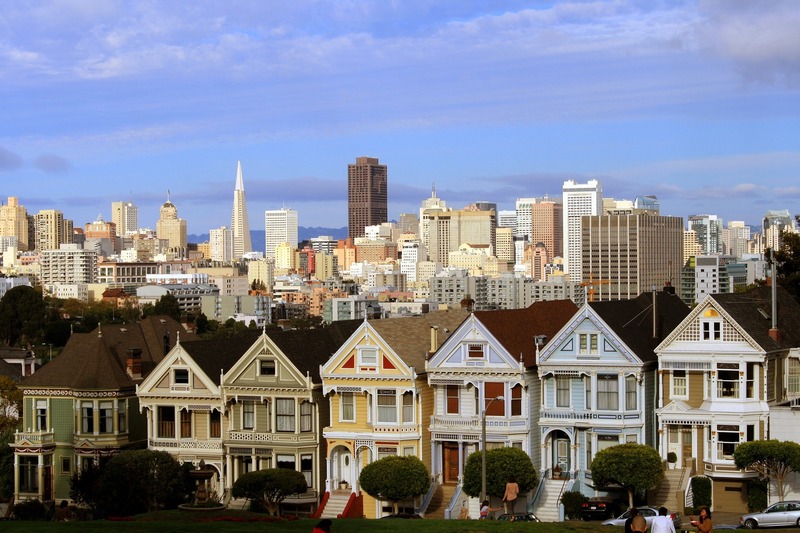 At Alamo Square Park, you’ll come upon one of the city’s most famous row of houses, known as the Painted Ladies, with a picture perfect view of San Francisco in the background. Since you’re in the area, take a stroll through the neighbouring Haight Ashbury and Hayes Valley neighbourhoods, which are full of colourful and detailed Victorians. Everybody loves a view, and finding the best spots for epic panoramas is part of the fun of exploration. While there are many spots to discover offering up amazing vistas, there are two you won’t want to miss. Twin Peaks is the second highest peak in the city, and a trip to the top rewards you with 360° views of San Francisco, the bay, and beyond. The views are spectacular whether you visit during the day or at night, and if you don’t have a rental car, you can always grab a taxi, or call an Uber or Lyft to shuttle you to the top. Bring layers, as it gets chilly at the top, and of course, get there when it’s clear, because once the fog rolls in, the peaks are blanketed and the views are obstructed. 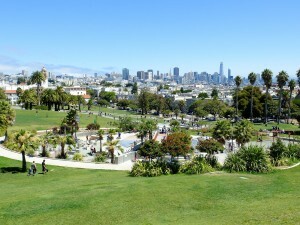 Another great spot for iconic views is from Coit Tower, which can be reached by foot from North Beach. You can opt to go inside and up to the top, in which case you’ll want to purchase tickets in advance, but walking around the base still provides the opportunity to check out the famed tower and take in the beautiful views. Art, graffiti, street art, and large murals abound in the lively Mission, and wandering the streets, getting lost as you discover masterpiece after masterpiece, is an excellent way to pass the time, however there are a couple of streets you can count on to deliver entire blocks worth of amazing art. 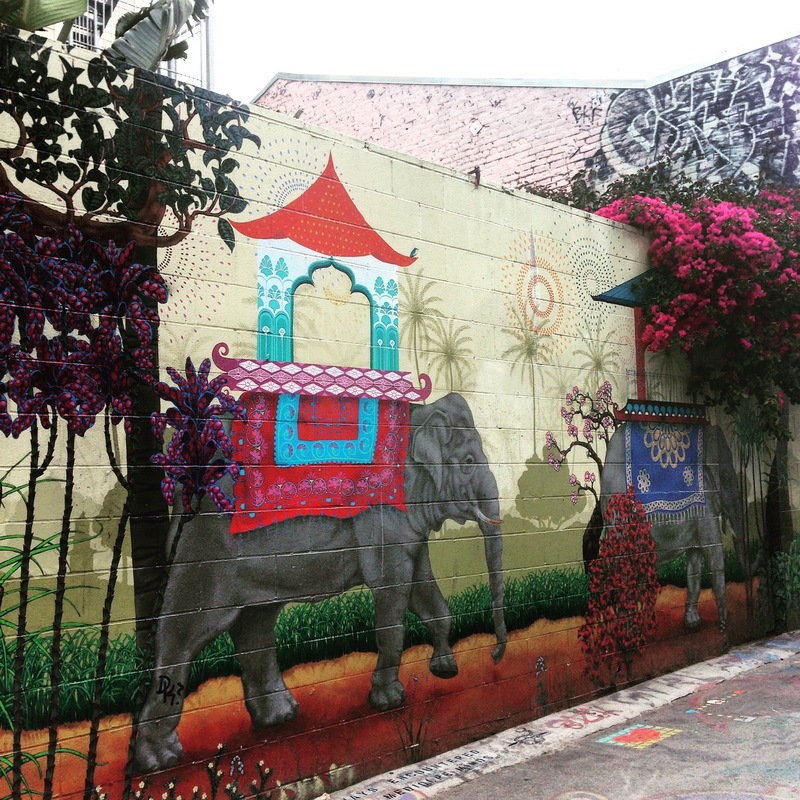 Clarion Alley and Balmy Alley are two small streets that are covered from end to end in bright, beautiful art. If you’re so inclined, you can book yourself a walking tour, but there’s really no need, as you can easily take yourself on a self-guided walking tour, stopping to linger for as long as you like whenever something catches your eye. With a constantly changing collection, there’s a good chance that if you’ve been here on a previous trip, new works of art will have been painted over old ones, so this is one of those things you can come back to again and again. 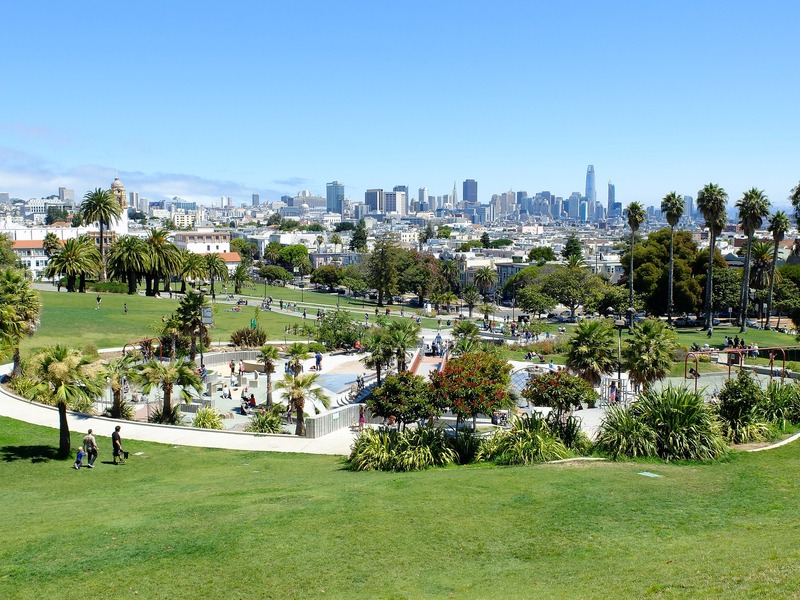 Golden Gate Park is well-known and popular among visitors, but Dolores Park in the Mission is where the locals head to in droves on a sunny weekend day. If you’re looking for one of the most ideal lunchtime experiences around, grab a Mission burrito of your choosing and an icy cold beverage from one of the taquerías nearby, then head to the park to feast, relax, and people watch. Once you’ve had your fill of leisure and burrito, this is the perfect time to go grab that ice cream from Bi-Rite, and walk it all off as you tour the Mission’s street art. Channel your inner-child and grab a piece of cardboard as you make your way to the Seward Street Slides, tucked away in a quiet, hillside neighbourhood known as Bernal Heights. The two concrete slides may not look like much, but they provide a few seconds of seriously fast sliding, making them possibly better suited for adults than young children. The cardboard is critical, since it will not only help you slide down faster, but will protect your clothes and skin from getting torn up by the concrete. They’re only open 10am – 5pm, Sunday – Tuesday, so make sure you go during those times, because once the park closes, the slides are chained off. You don’t have to be a baseball fan or even a big sports fan to enjoy a day at the ballpark. San Francisco is a city that loves its team, the Giants, and the fans’ infectious energy will ensure you have a good time. The amazing food available at the park doesn’t hurt either, like their famous Gilroy garlic fries and the legendary crab sandwich. If you’re visiting during baseball season, April – October, check the schedule to see if they’re playing while you’re there. For a little bit of everything in one place, the California Academy of Sciences is an aquarium, planetarium, and natural history museum. Pay a visit to the aquarium’s resident penguins and get your hands wet poking around the discovery tide pool; walk through four stories of a real indoor rainforest, complete with birds, butterflies, and a boa; and stare at the stars as you gaze up at the 23 metre planetarium dome, displaying one of the most accurate digital Universes ever. For the 21 and over crowd, they have NightLife from 6-10pm every Thursday night which include music, cocktails, and new theme to experience each week, plus access to all regular exhibits. If you’re a fan of music, you probably know a little something about San Francisco’s prominent musical history, with artists like the Grateful Dead and Janis Joplin finding fame here in the 60s. To experience a piece of history while taking in a live show, head to The Fillmore, a legendary venue located in the eponymous neighbourhood. Music legends across all genres have played here including The Doors, Pink Floyd, and The Who, and continues to bring in both mainstream and indie bands. This place is also known for it’s psychedelic concert posters, a tradition which lives on to this day, making great collector’s items for people attending concerts there.